For more information on design consultation with Stephanie Socha Design, please fill out the form below and click "submit". 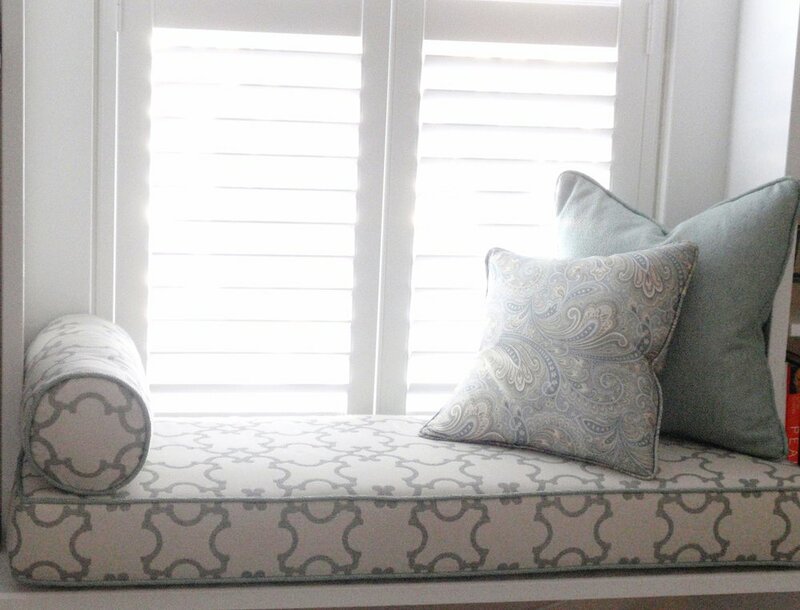 Custom Window Seat Cushion, neck roll pillow and square accent pillows. Custom White Wood Shutters by Hunter Douglas.